See what's happened at TCHS this year! Leanne Chapman is active in the Jefferson County Historical Society. She spoke about orphan trains and poor houses and shared some of her experiences with Jefferson Town in Oskaloosa. 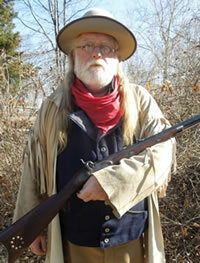 This was a good opportunity to learn more about the history just next door in Jefferson County. "The Grandfathers in Kansas: The Material Culture of the Delaware on the Frontier 1829-1867"
Wade Davis spoke about the Delaware Indians who lived in Tonganoxie on the Delaware Reservation prior to the founding the of the town. 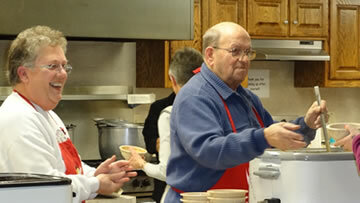 The annual TCHS Chili Supper was be held from 11am to 7pm at the United Methodist Church in downtown Tonganoxie. The Chili Feed featured Chili, Vegetable Beef Soup or Baked Potato dinner with dessert and drink. It was excellent company for a delicious lunch or dinner, all while supporting our local museum at the same time!